On April 3rd-4th, 2019, Ricoh Imaging posted service notices (across multiple regional websites) which apply to a small number of Ricoh GR III cameras from early production runs. The affected cameras have a "slight tilt" in the 4-way controlled which reportedly exceeds expected tolerances. The defect does not affect camera operation or performance. In addition, in the US, Ricoh is offering a 90-day warranty extension for all cameras which may be affected by this problem (based on the serial number range in the press release below). This extension must be claimed on this page by May 31st and is available regardless of whether your camera suffers from the defect or a repair is performed. Note that since a 2-year warranty is offered in most other regions, such an extension does not appear to be offered in those regions. At this time, we have been unable to obtain official information about the repair procedures in Australia and New Zealand, though we believe that the usual repair route through CR Kennedy will be used. We have recently discovered that a limited amount of RICOH GR III cameras that were sold in the North American market, may have a slight tilt to the 4-way controller. The specification of the controller allows for some movement, however we found that there are some units that have a more pronounced tilt. We can confirm that this tilt has absolutely no influence on the camera functions or image quality. If you feel you are experiencing this pronounced tilt on your GRIII please click the link below and provide the requested information. You will be notified via email with instructions on how to complete the correction process. 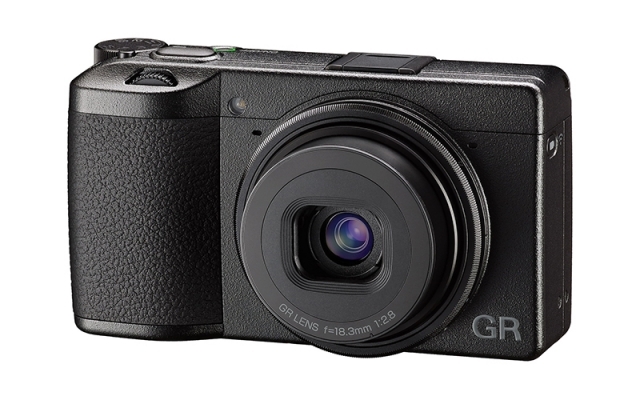 Ricoh Imaging stands behind our new GR III camera. To ensure continued use of your GR III camera and your confidence in your GR III camera, Ricoh Imaging will offer an extended 90 Day Warranty in addition to the normal 1-year manufacturer’s warranty to any cameras within the serial numbers that were released. Please register your camera via the below link and fill out the requested information, this must be completed by May 31, 2019. You will then receive an email communication from Ricoh extending your current GR III Manufacturer’s warranty. Thank you for your patience during this time as we continue to conduct internal due diligence on the controller setting. Until that time please continue using your GRIII without issue.